There are some rumors that Polish is the hardest language to learn, but there exists an idiom never mastered by a single person on earth. Fittingly, it was brought to limelight by a Polish bookseller and former revolutionary activist. 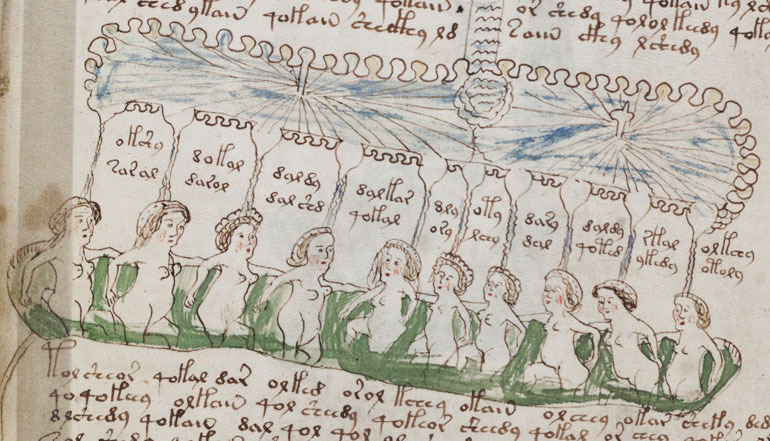 Two hundred forty vellum pages filled with writing in an unknown alphabet and puzzling illustrations of unidentified plants, astral charts, zodiac signs and seemingly pregnant female nudes, most of whom appear to be bathing in rather odd circumstances (making use of strange tubes or green liquid), make up the 15th century Voynich Manuscript, which is believed to be some sort of an ancient magical or scientific book. Believed is the key word here as nobody has ever read this book, so nobody can tell for sure what’it is about. Despite many attempts, the book has never been deciphered. Some claim that the manuscript is an elaborate hoax – an object created out of greed. Indeed, the first known owner of the book, Rudolph II, 16th and 17th century ruler of the Holy Roman Empire, paid a hefty price to purchase the volume in question. It is estimated that he spent the equivalent of 90 thousand dollars nowadays on the manuscript. That’s why some claim that the eerie book was prepared by a shrewd individual who sold it to him as a means of obtaining money from the ruler, who was known to spend large sums on alchemy, the occult and other such curiosities. Others believe that Wojnicz himself fabricated the manuscript and invented a legend that it was possibly written by the English philosopher Roger Bacon in order to sell the book for a high price – after all Wojnicz was a book dealer and an unknown, one-of-a-kind book by Bacon could have been very profitable. Interestingly enough, both of these theories have been proven wrong by science. Radiocarbon dating of the manuscript’s vellum and biochemical analysis of the ink used in the book show that it dates back to the early 15th century, long before Rudolph II purchased it. The book changed owners a few times in the 17th century to become the property of the Rome-based Jesuit polymath Athanasius Kircher in 1666. It remained in Jesuit possession, mostly unheard of, until 1912 when Wojnicz purchased it at a villa near Rome, called Villa Mondragone. Wojnicz publically presented the manuscript for the first time in Chicago in 1915 and ever since it has been baffling researchers and scholars worldwide. Many great minds tried to unravel the mystery of the book, but no one succeeded at doing it. Even the expert cryptologist William Friedman, who oversaw the U.S. army team that broke the Japanese diplomatic code Purple during World War II, couldn’t extract any meaning from the manuscript. Over the course of his work on the book he grew to believe that it didn’t contain an unknown code but was written in some sort of unfathomable constructed language. Many researchers share this opinion, but at the same time many people believe that the manuscript can’t be deciphered simply because it’s a hoax containing nothing but gibberish. One of the persons that believe that the manuscript is nonsensical is Gordon Rugg, a mathematician from England’s Keele University. In order to prove he’s right he constructed a purely nonsensical text which is structurally very similar to the text from the manuscript. As of yet none of the two aforementioned contradictory approaches has been definitely confirmed or ruled out - that’s probably the main reason why the manuscript continues to fascinate. 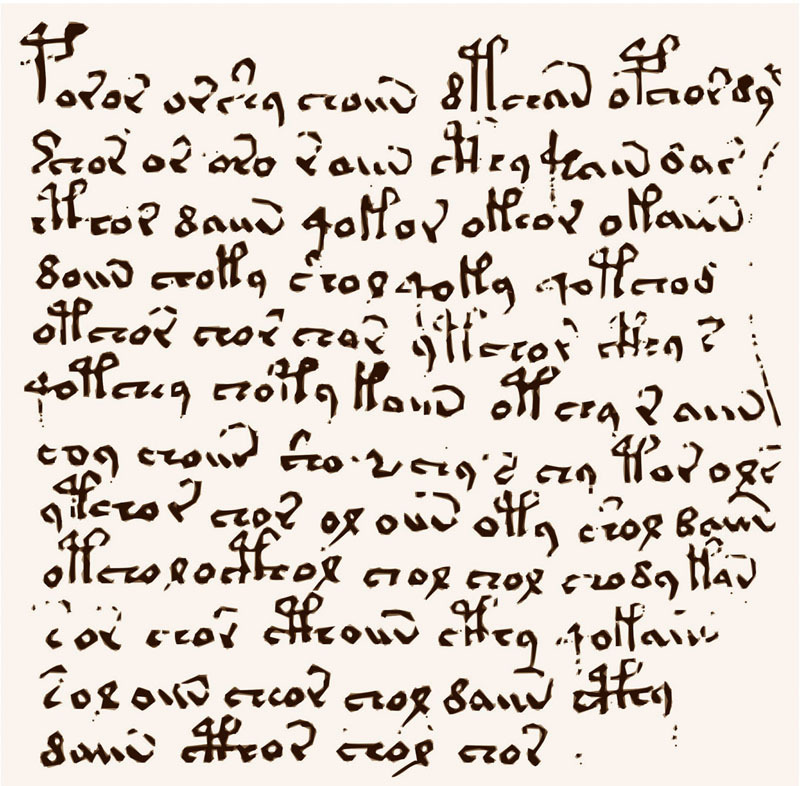 Recently Stephen Bax, a professor of applied linguistics from the University of Bedfordshire in England, declared that he deciphered a few words from the manuscript. If his findings are correct they could be a breakthrough leading to a possible full decipherment of the book. 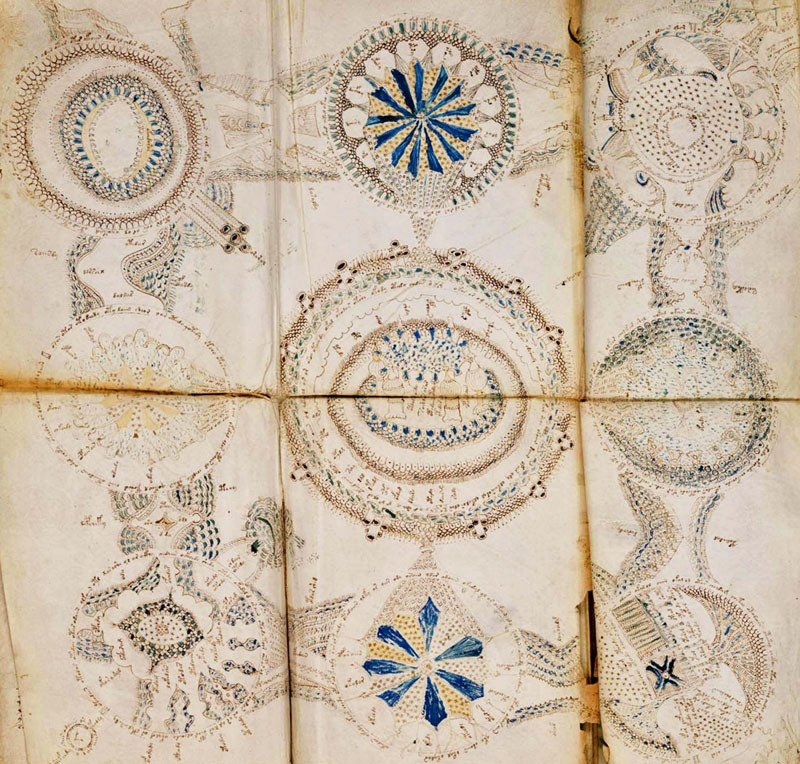 The story of the man who discovered the Voynich Manuscript for the modern world may be nearly as interesting as the story of the book itself. Michał Wojnicz was born in partitioned Poland in the town of Telšiai on the 31 of October 1865. After graduating from Moscow University in chemistry he came to Warsaw where he engaged in revolutionary activities. In the city on the Vistula he plotted to rescue Bardowski and Kunicki from prison, two members of the Socialist-Revolutionist Party Proletariat sentenced to death for conspiring against the rule of the Russian Tsar Alexander III. Unfortunately for Wojnicz his aim to help the two prisoners was reported to the authorities by a traitor. As a result Wojnicz failed to extract the two Proletariat members from prison and he himself went to jail. One day, looking out from his prison cell he saw Ethel Boole, his future wife, who was taking a walk in Warsaw, where she briefly stopped on her way from England to the Russian Empire. Afterwards, in 1887, Wojnicz was exiled to Siberia, where in Irkutsk he met the Karauloff family who gave him the London address of a certain Sergei Kravchinski, a Russian revolutionist. In 1890 Wojnicz managed to escape from Siberia and made it to Hamburg. In the German city he found himself in a very tough financial situation and had to sell his glasses and waistcoat to get a third class ticket for a boat to London, where he was heading to meet Kravchinski. Wojnicz didn’t speak English, so when he arrived in the said English city having no money it wasn’t all that easy for him to get to the address given to him by the Karauloff family. Fortunately for the Pole, who knew Russian, he bumped into a Russian-speaking student who took him to Kravchinski’s house. There, to his great surprise, Wojnicz encountered Ethel Boole, whom he recognized as the woman he once saw from his prison cell. It wasn’t long before they married. Ethel Boole was an interesting character herself. She was the daughter of the famous English mathematician George Boole, a writer and a supporter of the late 19th century Russian revolutionary cause. Her 1897 novel The Gladfly was extremely popular in Stalin’s Soviet Union and Maoist China. Together with her Wojnicz set up a bookstore in London that offered numerous rare manuscripts and books. How the pair came up with funds to stock their shop with those highly valuable items remains unclear. That’s why some believe the store laundered money for anti-Tsarist organizations. 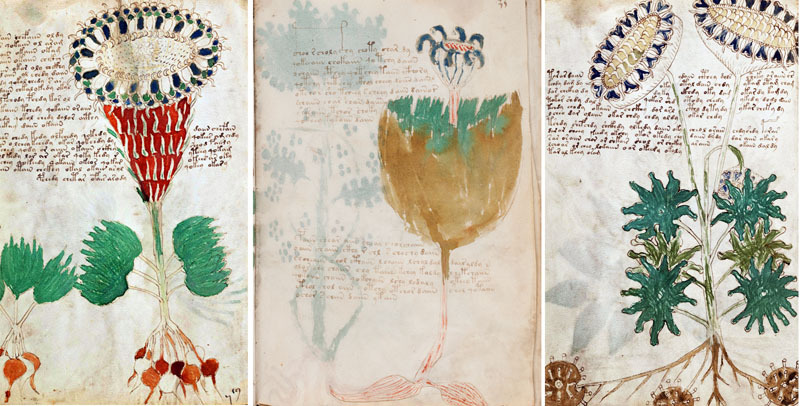 As a rare-book dealer Wojnicz was very successful and dug up what is often referred to as the most mysterious manuscript in the world – the Voynich Manuscript, Voynich being the anglicised spelling of Wojnicz. Shortly before the outbreak of World War I he moved to the U.S. where he lived until his death in 1930. After he passed away his wife became the manuscript’s owner. She died in 1960 and nine years later the book was given to the Beinecke Library at Yale University by Hans Kraus, who bought it from the estate of Wojnicz’s widow. 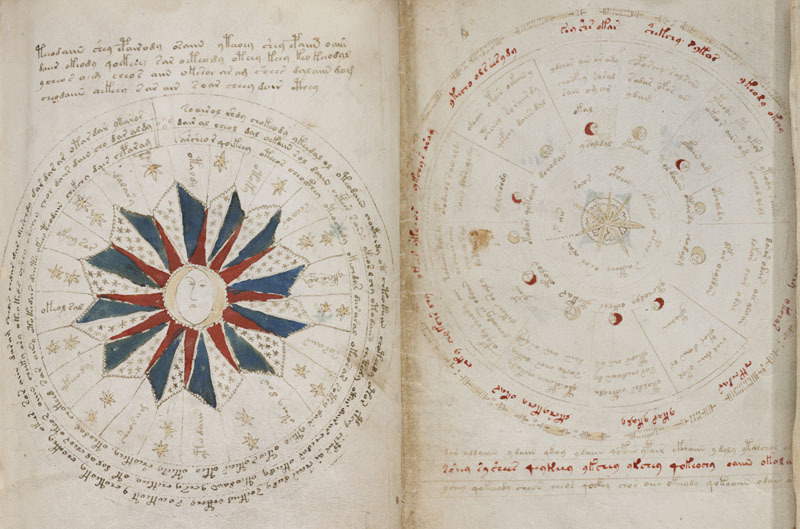 Ever since Kraus donated the Voynich to this library, the manuscript has been part of this institution’s collection.